Crystal and Molly have worked at Wagz since 2013. Crystal is also a veterinary technician in town, making her an avid animal lover. “Wagz has been such a fun job, it’s a great environment and I love meeting so many people and being able to love on all the dogs that come in”. 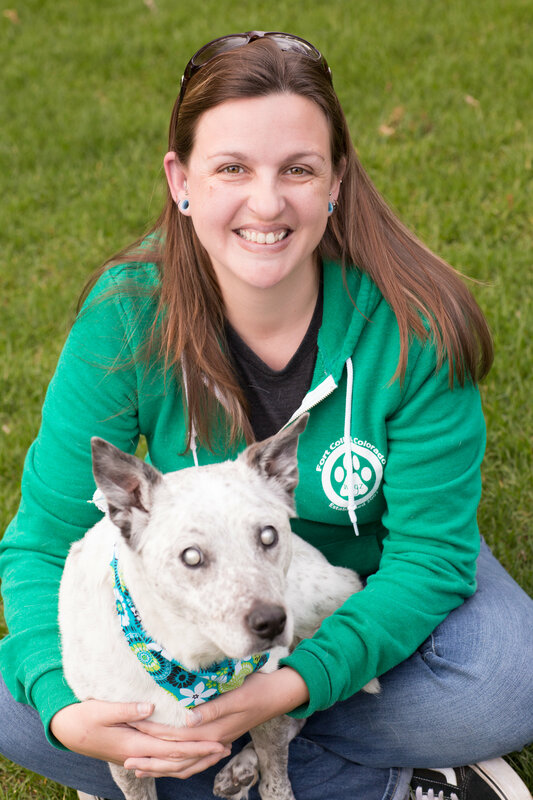 In her free time, Crystal enjoys being outdoors at the lake, hiking, biking around town, and hanging out with her 3 cattledog mixes. Molly was born in 2006 and was adopted by Crystal when she was about 6 months old. She is Crystal’s heart dog. Although now blind, Molly has always been the most patient, sweetest little cattledogs of all time. She loves working at work Wagz getting a full day of love, pets, cuddles, and of course…. Treats! She especially loves the kiddos! Come by and say hello to her most every weekend!